The benefits of e-procurement offer a powerful modern tool to improve our procurement operations, but the fundamental need for a great procurement strategy is timeless. While the landscape of times gone by might look a great deal different to how it does today, effective procurement was still founded on key principles that resonate in our modern environment. Let’s explore some of the most iconic monuments to procurement and supply chain strategy in history, and see just how important the lessons we can learn still are today. Egypt’s magnificent pyramids stand out as some of the world’s greatest man-made wonders, towering tombs that reach as high as 140 metres from the sands below. Construction of these ambitious monuments dates back an awe-inspiring 5,000 years, and mark one of the most notable historical achievements of both construction, and ultimately procurement. While the images of slaves toiling under the burning sun might be the popular image that comes to mind, the essential cog underpinning construction of the pyramids was a more specialist affair – Egypt’s scribes. The pyramids marked arguably the world’s first documented process, highlighting that remarkable engineering wasn’t the only thing that ensured their success. In truth, good record keeping, documented procurement processes and comprehensive supply chain management played an essential role in the construction of these iconic monuments. What’s the lesson for procurement? Clear oversight and good record keeping is vital to an effective procurement strategy. 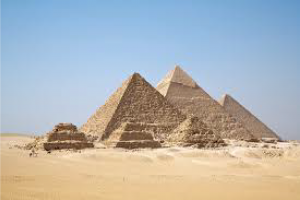 The world’s greatest design could outline a glorious man-made wonder to rival the pyramids, but if you haven’t got the oversight to ensure appropriate procurement of materials, you won’t be building a tomb to last eternity any time soon. It’s hard now to imagine a time when manufacturing was predominantly driven by a hands-on labour force. Automated processes and increasingly smart machines are a staple of the industry today. 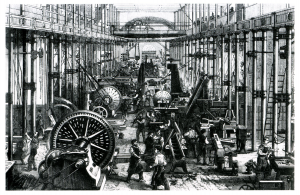 The First Industrial Revolution marked the turning point in this wave of innovation, a somewhat murkily defined period which took place between around 1760 and 1840. The driving force behind these emerging industrial methods was the adoption of new technologies and machines which would replace or reduce manual workloads and radically improve the efficiency of manufacturing. Some initial hesitation by business owners and, more prominently, protests driven by workers, made for a challenging process of adopting innovation. Those who were slow to adopt this new opportunity quickly found themselves falling behind in the market. While the period of transition wasn’t always smooth going, ultimately the First Industrial Revolution is cited as having improved real wages and social conditions. Meanwhile those who refused to innovate, simply couldn’t compete. The lesson for procurement? Innovation and opportunity go hand in hand. New technologies aren’t here to replace how we work, they’re here to enhance the way in which we operate. Look at the benefits of e-procurement software like Procurehere, it might be focussed on improving efficiency in procurement, but it speaks of a wider revolution to build more efficient global industry through the power of connected opportunity and data-driven insight. Talk of the Silk Road conjures up magnificent images of pioneering traders and exotic goods crossing the great continents. Indeed, the inspiring Silk Road is such as an iconic image still today that China’s great One Belt, One Road initiative is styled on this ancient success. This ancient trading highway stretched over 4,000 kilometres, from the triumph of Rome in the west to the bustling heart of China. The route itself was actually a series of interconnected roads and trails, designed to bring only the most luxurious goods the length of these great continents. It not only revealed the raw power of human desire for goods, but the lengths that we go to meet our demands. The lesson for procurement? 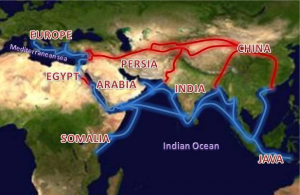 The Silk Road represents one of the world’s most iconic ancient supply chains. The very name itself highlights the crucial element that ensured this highway of goods was able to become a success – the transport of luxury products. Journeys the length of this ancient road could take months or years, meaning only the most expensive goods with the highest commercial value would be transported. In today’s modern global marketplace, our land, our oceans, even our skies, are packed with billions of tonnes of trade goods traversing the globe each day. While the opportunities and links may have improved, our supply chains are just as reliant on competitive pricing as they were in the days of the Silk Road. That means understanding and planning for the sometimes volatile cost of transport is a vital consideration in your procurement strategy.